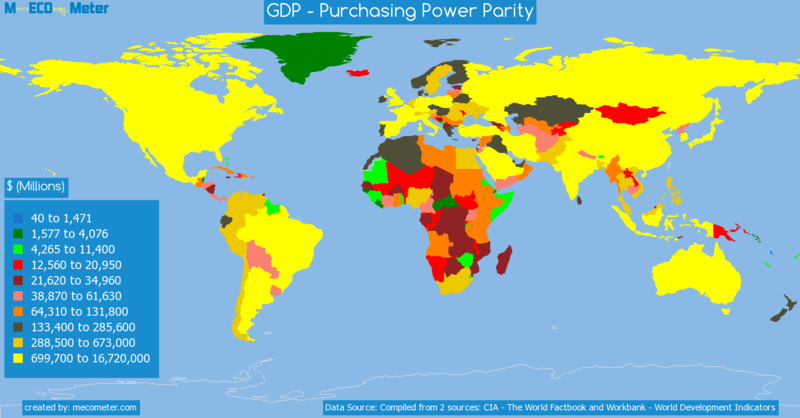 Value & RankThe GDP - Purchasing Power Parity of Iceland is 13.1 ( billions of $) with a global rank of 149. 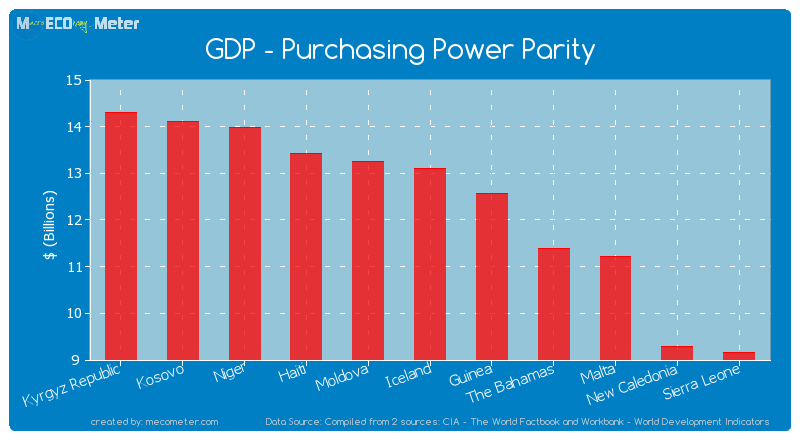 Iceland compared to other CountriesThe GDP - Purchasing Power Parity of Iceland is similar to that of Kyrgyz Republic, Kosovo, Niger, Haiti, Moldova, Guinea, The Bahamas, Malta, New Caledonia, Sierra Leone with a respective GDP - Purchasing Power Parity of 14.3, 14.1, 14.0, 13.4, 13.3, 12.6, 11.4, 11.2, 9.3, 9.2 ( billions of $) and a global rank of 144, 145, 146, 147, 148, 150, 151, 152, 153, 154.10 years growthIceland's GDP - Purchasing Power Parity had a positive growth of 47.2 (%) in the last 10 years from (2003 to 2013). 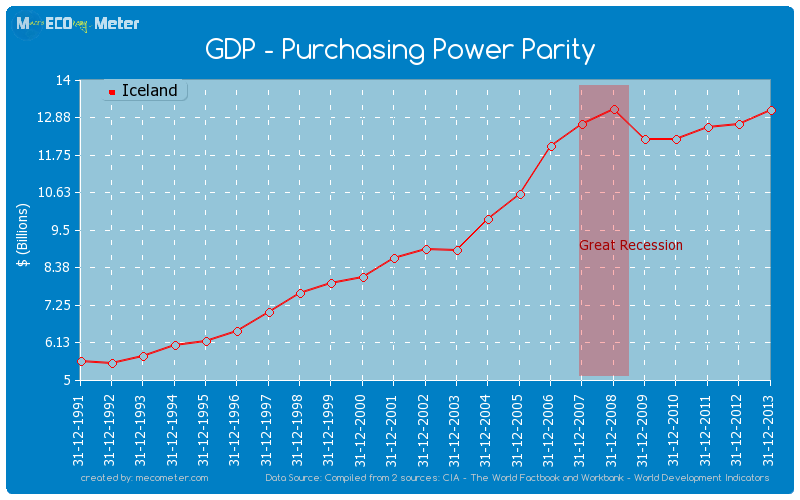 Last 10 years averageIceland had an average GDP - Purchasing Power Parity of 11.8 ( billions of $) in the last 10 years from (2003 to 2013).